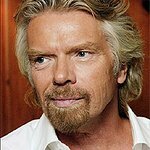 Sir Richard Branson has blogged about his belief that education is the best way of combating the rising rate of extinction in the animal kingdom. “The rate of extinction for species in the 20th century is up to 100 times higher than it would have been without man’s impact, a new study has claimed,” wrote Branson. "Research from Science Advances found that species are becoming extinct at an unprecedented rate in the 4.5bn-year history of the earth. “The lemurs of Madagascar are among those species being threatened with imminent extinction. According to one leading lemur expert, there may be no lemurs left in the wild within 25 years. “However, there is a changing attitude towards lemurs in people who have been educated about their endangered status. I see this effect on Necker Island, where we bring hundreds of children to visit the lemurs and other animals in our conservation program. They come away with looks of wonder on their faces, and often tell me that they want to help protect more species themselves.